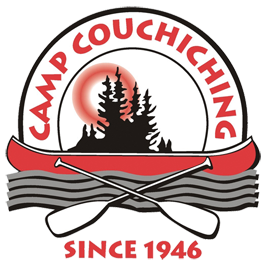 Camp Couchiching was officially established in 1946 however Camp Couchiching's property has hosted different summer camps since 1910. Our camp had its beginning during the 1930's when a group of individuals from the Anglican Young Peoples Association rented what would soon be our home from the neighboring facility, YMCA Geneva Park. In those days, groups slept in tents and the Camp was known as 'White House', named for the old farmhouse, which stood on the site of our current Towne Hall. Campers walked up to camp from the Longford Mills train station and their luggage was brought by horse cart. Through the Depression and War Years, "White House" beacame successful each summer in providing camp experiences for young people. In 1945, with a continued interest in camping Rev. Fred Nicholson and Mr. W.R. Worthington of the Diocese of Toronto, Anglican Church of Canada (read the plaque on the flagpole...placed in his honor). Our present site was purchased from Geneva Park. Construction of the dining hall and cabins was completed in 1946 and Camp Couchiching was born. The cost of the land and new buildings was about $20,000. Initially established as a camp for Anglican youth, Camp Couchiching has evolved over the decades, moving from what was initially a religiously focused program into one that specialized in the integration of special needs, inclusion and all beliefs and interests. In the early seventies, Camp Couchiching began to operate a special month long camping program for children with Cystic Fibrosis, carving a reputation as a place for all. This was also the first Camp program of its kind in the world creating a spot for us in history. The program, titled, Ontario Cystic Fibrosis Camp, ran for twenty successful years, however was cancelled in 1994 when it was decided by the medical community that children and adults with CF should not be brought together due to the threat of a dangerous bacteria. Thus came the end of two decades of our history, however found within is some of our most memorable successes, and many of our most loyal alumni members. Today, the Camp continues its strong commitment to provide a fun learning experience for young people with a special emphasis on integration and traditional camping values. For many years, the camp operated separate boys and girls programs at different times during the Summer, however during the late 1960s, we dared to be different, becoming co-ed. Following the loss of the Ontario Cystic Fibrosis Camp in 1994, two groups with special medical needs became a part of the our Camp Couchiching family. Camp Jumoke (for children with sickle cell anemia) and Summer Fest (for children with Epilepsy). These programs were initiated due to the belief that all kids benefit from camping experiences. At the time, integration of this kind was very rare. We continue to strive towards encouraging integration. It is strongly felt that our integrated environment is what develops our campers into confident, compassionate and exceptional individuals. 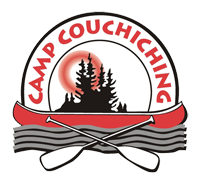 Over the years, Camp Couchiching has been used as a rental facility for a variety of groups and proudly boasts of an Outdoor Education Centre with a remarkable reputation for Excellence in Camping. In 2018, we welcomed over 5,000 visitors through our gates. 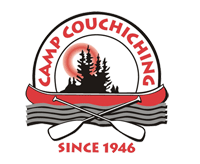 Camp Couchiching strives to evolve into one of the finest children's Camps in Canada. As an independent non for profit charitable organization, each years success brings waves of improvements and new additions to camp. A camp that strives to be the best, at the end of each summer we leave a very high standard in its wake. 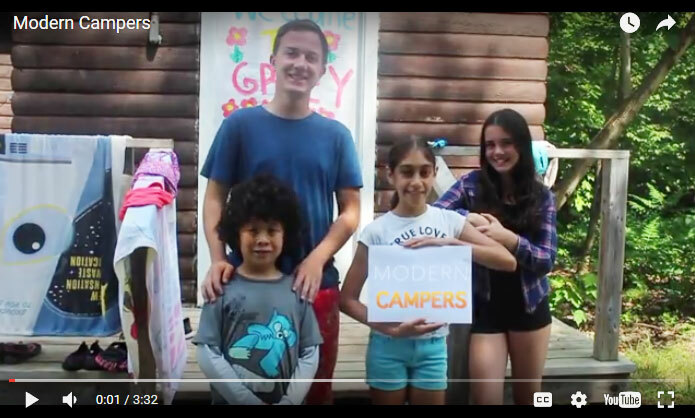 Over 100,000 people have participated in the long and proud history of our Camp. Today, we continue to offer a traditional camping programs as well as a variety of programs targeted towards Leadership Development. 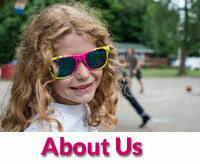 Our campers enjoy now over 24 activities at Camp both in and out of the Lake.